NEWARK — A team divided isn’t always a bad thing. 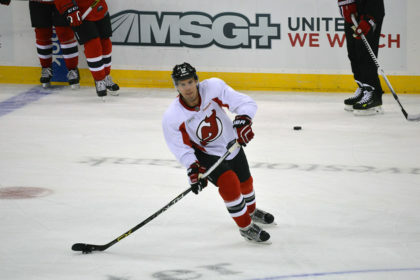 The New Jersey Devils are essentially splitting their Training Camp roster in two for a pair of games Monday. The team hosts the Philadelphia Flyers at Prudential Center at 7 pm and travels to face the Montreal Canadiens at Bell Centre at 7:30 pm. 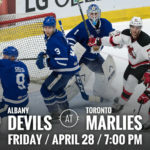 Hall Makes Devils’ Debut: Okay, it’s not the regular season, but Taylor Hall will be wearing a New Jersey Devils uniform for the first time in game action. Expect him to share a line with his former Windsor Spitfire teammate Adam Henrique, who will center the line. Devante Smith-Pelly will play right wing. The Goaltending Situation: Keith Kinkaid and Anders Lindback will share the crease at Prudential Center, while Mackenzie Blackwood and Scott Wedgewood head to Montreal. All signs point to Keith Kinkaid and Scott Wedgewood starting their respective games. 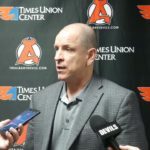 From Above: New Jersey Head Coach John Hynes will remain with the group in New Jersey, but he won’t be behind the bench. Instead the second-year bench general will watch from the press box. 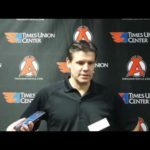 Assistant Coach Geoff Ward will coach the Prudential Center group and Assistant Coach Alain Nasreddine will be with the Bell Centre platoon. 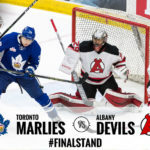 An NHL Debut: Nick Lappin, who turned heads while playing for the Albany Devils at the end of last season on an ATO, will make his NHL preseason debut. 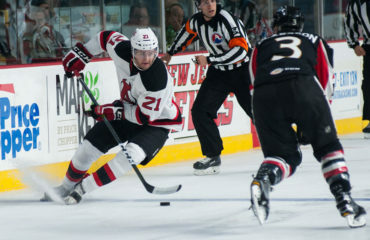 Lappin signed an entry-level contract for the 2016-17 season. 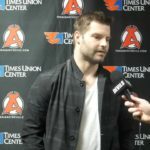 In 12 regular season games last year, Lappin had three goals and four helpers. In 11 playoff outings, he registered five goals and two helpers.